Rob Gerwer, founder of Blue Star Residential Lending, has worked in the mortgage industry since 2001. In August of 2006, he incorporated Blue Star, and formed what you see today: Blue Star Residential Lending, Inc. His dedicated service and attention to detail leaves clients feeling satisfied and appreciated after every mortgage transaction. 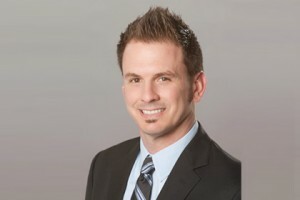 While the greatest compliment Rob receives are referrals and return clients, he has earned many other awards and acknowledgements in his career. Even in such a competitive market, Rob has earned D Magazine’s “Best Mortgage Professionals in Dallas” in 2012, 2014 and 2015. He also served as Strategic Partner co-chair for the Women’s Council of Realtors for 2 years. Impressed by his hard work, he was awarded Women’s Council of Realtors “Strategic Partner of the Year”. Rob also was in the graduating Class 7 for Texas Real Estate Leadership Program in 2012. While Rob enjoys working incredibly hard for his buyers and Real Estate agents, he enjoys spending his off time with his family. Rob, and his wife Casey, are often seen on area sports fields with their 8 year old quadruplets. He also enjoys all things Chicago Cubs, Chicago Bears and Dallas Mavericks. At Blue Star Residential Lending, we believe you deserve responsive service, personal attention, and the best rate possible for your loan. And as independent mortgage brokers, we can offer you more options, better service, and a home buying experience that makes you feel right at home. We are your Plano home loans and Frisco mortgage lender! Blue Star Residential Lending, Inc.
© 2018 Blue Star Residential Lending, Inc.
"CONSUMERS WISHING TO FILE A COMPLAINT AGAINST A COMPANY OR A RESIDENTIAL MORTGAGE LOAN ORIGINATOR SHOULD COMPLETE AND SEND A COMPLAINT FORM TO THE TEXAS DEPARTMENT OF SAVINGS AND MORTGAGE LENDING, 2601 NORTH LAMAR, SUITE 201, AUSTIN, TEXAS 78705. COMPLAINT FORMS AND INSTRUCTIONS MAY BE OBTAINED FROM THE DEPARTMENT’S WEBSITE AT WWW.SML.TEXAS.GOV. A TOLL-FREE CONSUMER HOTLINE IS AVAILABLE AT 1-877-276-5550. THE DEPARTMENT MAINTAINS A RECOVERY FUND TO MAKE PAYMENTS OF CERTAIN ACTUAL OUT OF POCKET DAMAGES SUSTAINED BY BORROWERS CAUSED BY ACTS OF LICENSED RESIDENTIALMORTGAGE LOAN ORIGINATORS. A WRITTEN APPLICATION FOR REIMBURSEMENT FROM THE RECOVERY FUND MUST BE FILED WITH AND INVESTIGATED BY THE DEPARTMENT PRIOR TO THE PAYMENT OF A CLAIM. FOR MORE INFORMATION ABOUT THE RECOVERY FUND, PLEASE CONSULT THE DEPARTMENT’S WEBSITE AT WWW.SML.TEXAS.GOV.